The beautiful Blue Limestone counter top basin, manufactured from natural stone for a luxurious finish, each basin is unique and considered as an individual work of art. Designed to be mounted onto a worktop console or piece of vanity furniture. 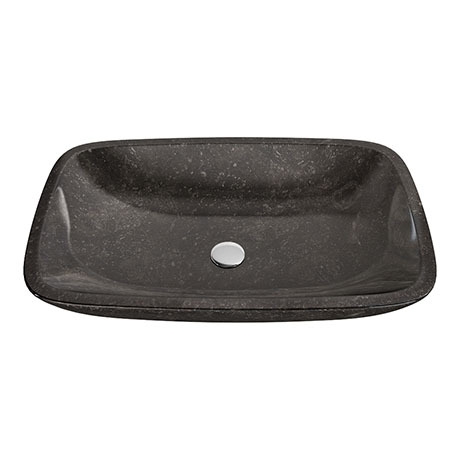 Basin comes with no tap holes and is to be used alongside a counter or wall mounted outlet. Please Note: Each limestone basin is carved from natural stone and will feature individual variations in color, shade, and veining. Please ensure the height to spout and spout reach will accommodate your basin.